Are you avoiding these Los Angeles travel scams? In 2015, over 45 million people visited Southern California's largest media market by population, Los Angeles. 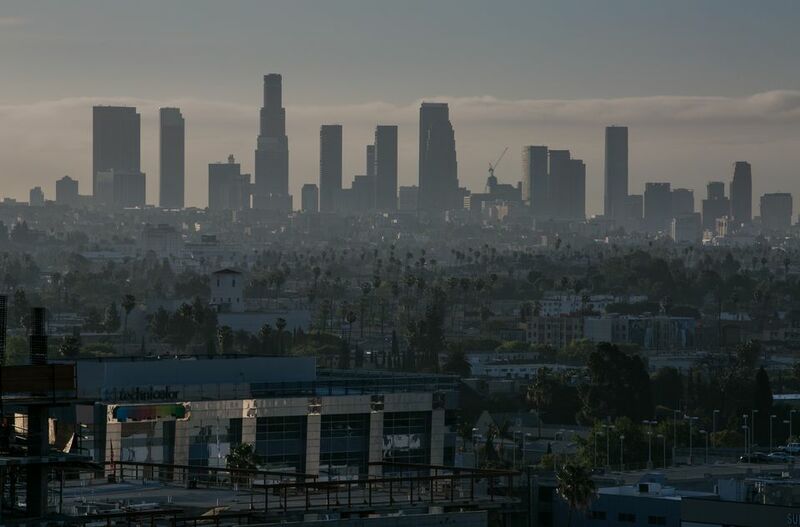 From the natural wonders of the La Brea Tar Pits to the glamour of Hollywood, there is arguably more to see and do in Los Angeles than can be done in just one visit. For all the wonderful things that Los Angeles offers tourists every year, there is also a darker side to the Entertainment Capital of the World that waits to prey on unknowing travelers. In many situations, travelers can either be out a bit of money, or have even worse things happen as a result of their missteps. When it comes to avoiding problems in Los Angeles, how can travelers protect themselves from the worst case scenarios? Here are five common Los Angeles travel scams to watch out for before and during your next trip to sunny Southern California. With the rise of person-to-person rentals, travelers may be tempted to forego the hotel altogether, and instead opt to rent a house or apartment for their time in Los Angeles. While Airbnb and VRBO both offer safe and secure alternatives to the traditional hotel, these avenues can be abused as well. In a common version of the fake Los Angeles rental scam, travelers are often attracted to a property they find on Airbnb. Advertised at a much lower price than competing rentals or hotels, travelers who inquire about the property are often redirected to a different booking site that mirrors Airbnb or VRBO. The website then reports the property has been reserved for dates, but money has to be wired to complete the reservation. Another variation of the scam involves the rental section of Craigslist. In the listing, exterior pictures of the house and scenery are often posted, advertising the house available as a temporary rental for those vacationing. Once again, the price is either lower than other listings, or in line with similar listings. When travelers inquire about the status of the house, the "homeowner" confirms the dates are available, and asks the renter to send a deposit in the form of a wire transfer. In both situations, travelers are renting a fake home, and pay the cost upfront. Any listing that requires a wire transfer should be walked away from immediately, and reported to the service where the home is listed. A walk down Hollywood Boulevard allows travelers to go back in time in entertainment history. From the world famous Hollywood Walk of Fame, to Grauman's Chinese Theatre, there's plenty to see and do along this historic stretch of land. Scam artists are aware of this as well, and are more than willing to prey on a new face visiting Los Angeles for the first time. One of the most familiar scams can be found in front of gift shops running up and down Hollywood Boulevard. In the fake tour guide scam, hawkers in front of gift shops will offer travelers exclusive discounts on open-air bus tours. These supposed "tours" can run from the homes of the rich and famous, to driving tours of the movie studios of Hollywood. Travelers will get quoted at one price by the hawker, to be lead inside to pay for their tour. In certain situations, these tours are little but scams in disguise. After agreeing to the tour, the cashier will often add fees and surcharges to the agreed upon price, and refuse any attempts at a refund. Furthermore, the tours often run early or late, and do not deliver on their promises in the end. For those who want to take a tour of Los Angeles, be sure to do homework on the tour provider. A quick search of the tour operator name and location will result in a number of reviews which will give tourists a strong idea of how legitimate the tour operator is. If the tour sounds too good to be true – it probably is. Los Angeles may be considered where the amusement park concept originated. From America's first major amusement park at Disneyland, to the fun of Knott's Berry Farm, Universal Studios Hollywood, and other attractions, there's no shortage of amusement parks to experience in Los Angeles and throughout Southern California. With the high price of amusement park tickets, travelers who are looking for a deal often turn to the internet to save money on tickets. While this may seem like a good idea in the short term, scam artists are also aware of this avenue, and often use the internet to scam travelers out of their traveling cash. The fake amusement park ticket scam is often most prevalent through online auction sites, or through Craigslist. In both versions of the scam, the seller either has excess gift cards to sell, or offer unused days on a multi-day pass at a discount. When the traveler and the seller agree on a price, the seller will either request payment in cash or money order, or meet the traveler to collect cash payment. Once the transaction is complete, travelers are often left to discover the multi-day tickets or gift cards have zero value, while the seller is long gone with their money. With the availability of pre-paid cell phones and e-mail addresses, sellers can get away long before travelers have the opportunity to report their loss to local law enforcement. Once again: if a deal is too good to be true, it probably is. Never purchase amusement park tickets online through auction sites or Craigslist. Instead, go through partners or travel agents affiliated with the amusement park, which can offer discounts through verified avenues. There was once a time where hopeful actors and actresses would flock to Hollywood with the hopes of a once-in-a-lifetime fate meeting with a movie star or executive that would change their lives forever. The corner of Hollywood and Vine became the spawn point of dreams after nationally syndicated columnists referenced it as one of the hottest intersections during the golden era of films. Today, hopeful actors still go to Hollywood with the hopes of making it big, but are sometimes met by scam artists instead who hope to take advantage of those new to the city. In this scam, travelers or those newly moved to the city are approached by a "talent scout," who thinks the target has what it takes to be in the movies. As a result, the scout invites the traveler to a "casting call," which often takes place in a location off the beaten path. At these fake calls, travelers are either coerced to pay an upfront fee to the fake talent agency, or are often asked to expose themselves in uncomfortable situations. Legitimate talent agencies will never openly solicit travelers on the street, nor would they ask them to pay fees up front or go to a secret "casting call." If approached to be part of a talent hunt, always ask for more information, and walk away when things get uncomfortable. Although it is altogether rare, superstition scams still have a way of popping up – especially in historically ethnic communities. Often targeting the elderly or those from other countries, the "Chinese blessing" scam is just one of many travel scams that have been seen in Los Angeles over the years. The "Chinese blessing" scam works in one of two ways, primarily targeting tourists and the elderly. In one version of the scam, a tourist to historic Chinatown will be approached by persons who claim one of their accomplices is a "mystic." For a small fee, they can perform an old "Chinese blessing" ritual, which will bestow powers upon an item that will ward away evil spirits. When the tourist agrees, the item is placed in a bag, and switched with a similar bag during a fake ceremony. The tourist is then told to keep the bag closed for a week, or else the blessing will be lost. In an alternate version of this scam, the same people offer to sell a historic relic to the traveler for an inflated price. The item is sealed in a bag, and unknown to the traveler. When the transaction takes place, the scam artist walk away with money, and the tourist is left with little more than a cheap souvenir. Although this scam is rare, it can still be prevalent in historic communities. When approached to purchase something on the street, savvy travelers simply walk away and ignore the pleas of the scam artist. When traveling to Los Angeles, travelers are often exposed to many scams without even knowing it. By being in front of the travel scams, everyone visiting Los Angeles can ensure their trip is enjoyable, safe, and memorable for the right reasons.